To be honest this is a bit of a misleading title. 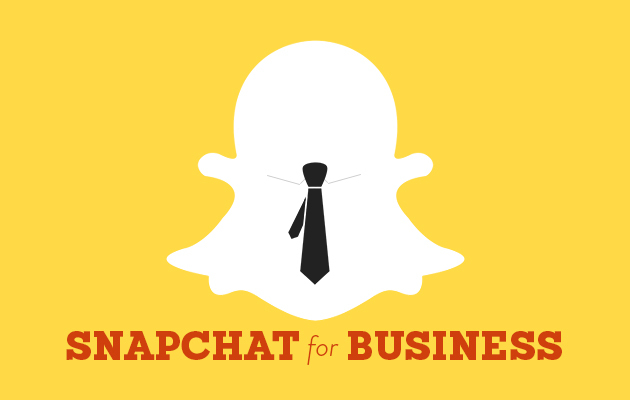 At this point in time no one seems to be 100% sure on the extent of the benefits Snapchat can have for businesses. But it looks like this will be the year we’ll find out and we like to think we’re on the ball when it comes to this stuff. Snapchat, previously more commonly associated with teenagers sharing selfies and flirting, is about to experience a revolution as it’s set to be the next big thing in advertising for businesses. Not every business will need to be on Snapchat but it’s worth a consideration as more and more brands are finding innovative ways to use the platform to their advantage. Forbes.com and The Drum are among the heavyweights currently asking if 2016 will be the year of Snapchat advertisers. They clearly know something. Snapchat has now been made easier to use. Users no longer need to hold their finger on for the duration to play clip or view a post; a simple tap to open and play will suffice. Handy. Snapchat is used daily by more than 100 million users. Is this a potential audience you can afford to miss out on? Snapchat spent last year experimenting and began working with brands, such as ESPN and Comedy Central, sending Snapchat news updates. Big brands like Samsung and McDonalds have begun paying to advertise on Snapchat. They may be pioneering the way but other brands are following suit. There are many ways that you could potentially make Snapchat work for you. Using the video capabilities can bring perhaps the most reward. If this is the format that gets the most attention then it should be videos you put out. Prioritise giving your audience the type of content they interact with the most as this will help continued growth of your social media exposure. Hark back, if you will, to the last instalment of our series; How your business can take advantage of Periscope. Many of the points we raised here also apply to Snapchat as they’re roughly similar in many respects. As with Periscope, arguably equally untapped and unknown, Snapchat can be an excellent way to tease your followers with a sneak peak into your product, a new collection or behind the scenes glimpse into your company. It’s probably not the first platform you’d think of for business either which makes it nice and fresh. The bonus of Snapchat over Periscope being that it also offers still photo imaging and you can use creative tools such as fonts, filters, digital crayons etc. You can really show customers your personality. Remember to keep it casual. This is a light-hearted app. Ideally the language you use here should be more fun than formal. These kinds of tools will make you and your team seem more approachable and personable. These are all added bonuses when you’re trying to connect with your audience. At the end of the day Snapchat is like any other platform; it’s the connection and the effort you put in to make sure you’re putting out interesting and entertaining content is important, otherwise you may find that no one’s watching. If you’ve yet to send your first ‘snap’ you can download the app here, and if you’d like to chat to us more about your online presence or social media strategy then drop us an email.